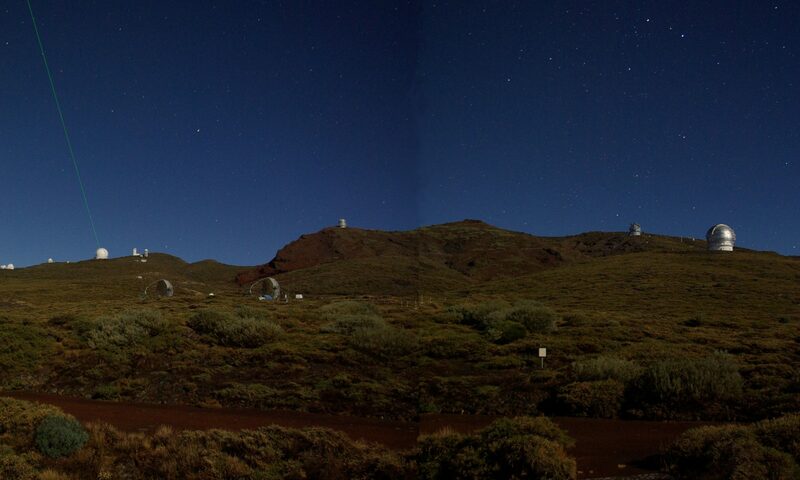 Welcome to the Roque de Los Muchachos, where 17 telescopes from 19 nations use the best night sky in Europe to explore the cosmos. Find out what it's like to work in this strange world above the clouds. Learn about each telescope, how they're run, and a little of what they've discovered. This book is written for the general public rather than professional astronomers, with over 120 photos and diagrams, and a full glossary of all the technical terms for non-geeks. 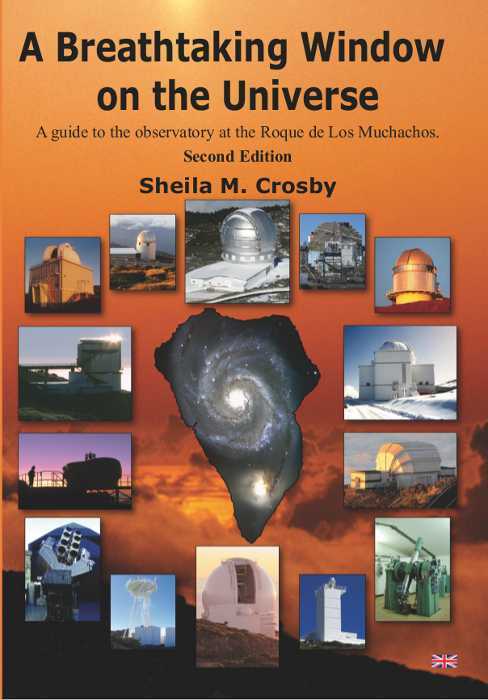 The cover of the second editio of "A Breathtaking Window on the Universe"
Sheila Crosby knows the observatory well. She worked there as an engineer for nearly 12 years, and has been a tour guide there for five, showing hundreds of tourists, journalists and students around. The second edition has information on another telescope (the KVA-60) , more details on the observatory's history, interviews with two astronomers, and an explanation of how we are all made of stardust, plus lots of minor updates. That's 16 extra pages, and it's printed on better quality paper to do full justice to the photographs. The retail price is €17 + P&P. To buy the book, click "Add to cart". Then click Product Page -> Checkout to pay with Paypal. (If you don't have a Paypal account, you will be able to pay with a credit card on the Paypal site). I’ve learned more about astronomy, science and astrophysics in an hour's tour of the GranTeCan telescope than I did in 15 years of full time education. Why? Because Sheila made it all such fun. Her enthusiasm, sense of fun and ability to relate the most complex of scientific instruments and theories to everyday objects and situations make her tour immensely enjoyable and educational. If she had chosen a career in education rather than engineering she would have been one of those teachers or professors who mould young lives and inspire greatness. Doc Finch, US Navy, retired, writer. To buy the book, chose your format, and click "Add to cart". Then click Product Page -> Checkout to pay with Paypal. (If you don't have a Paypal account, you will be able to pay with a credit card on the Paypal site). 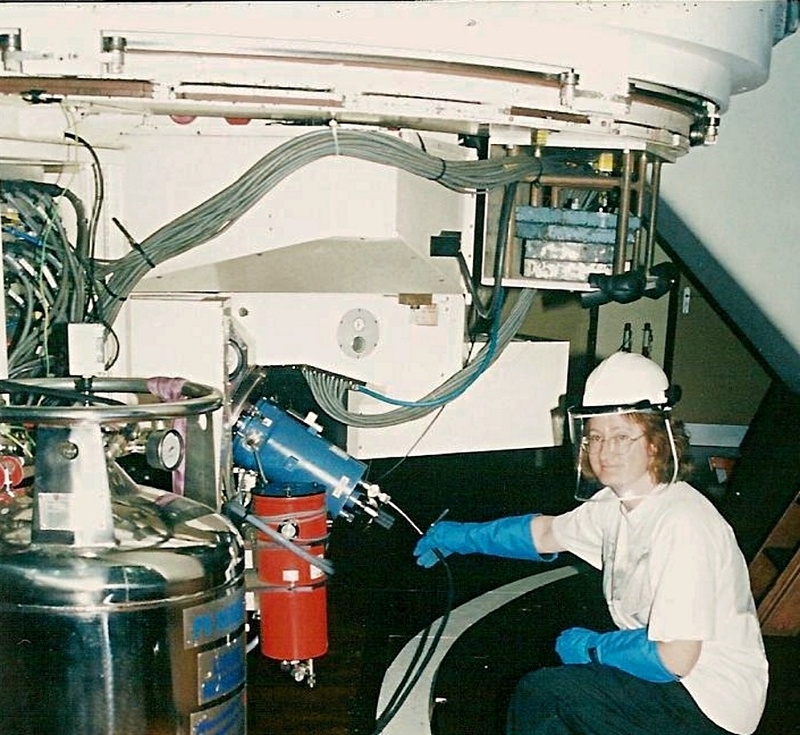 The author filling an instrument with liquid nitrogen in the Isaac Newton Telescope in 2003, with protective clothing.